The Nottingham-Malvinas Group: 2010 - The War Veterans´ silent killers. Hace veintisiete años fuerzas argentinas y británicas se enfrentaron en lo que se considera fue la ultima guerra colonial del Reino Unido77,99 .Los combatientes de ambos lados enfrentan hoy día un enemigo común: las enfermedades cardiovasculares (ECV) que habrán de hacerse mas evidentes a medida que pasen los años.Argentina y el Reino Unido presentan muchas semejanzas en cuanto a prevalencia de Factores de Riesgo (CRF).Los efectos psicológicos a largo plazo del conficto de 1982 estan asociados a las enfermedades cardiovasculares. Los efectos psicológicos pueden actuar como desencadenantes de episodios cardíacos agudos. Twenty seven years ago Argentine and British forces collided in what was considered Great Britain´s last colonial war 77,99. Combatants of both sides face now a common foe:Cardiovascular diseases(CVD)which will become more evidente as the years go by.Argentina and United Kingdom have great similarities regarding coronary Risk Factors(RF). The late psychological effects of the 1982 conflict are linked to CVDs. The psychological effects may even trigger acute cardiac events. 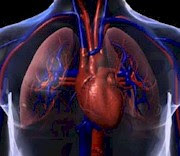 Cardiovascular disease (CVD) is any disease of the circulatory system. Most of the deaths from CVD relate to coronary heart disease (CHD or heart attack), stroke (Cerebrovascular disease) and other diseases of the circulatory system including heart failure and diseases of the arteries. 97 .A major study, conducted by researchers at the Harvard School of Public Health in Boston (USA), of about 2000 military veterans who served in the armed forces during WWII proves that they suffer from symptoms/of post-traumatic stress disorder (PTSD).The study also suggests that they stand a greater risk of heart disease as their live unfold. 106 . In Russia, veterans of the Great Patriotic war have shown an earlier development of ischemic heart disease, arterial hypertension, and cerebral atherosclerosis. 6 .Cohen et al studied Veterans of the US Wars in Afghanistan and Iraq using the Department of Veterans Affair(VA)healthcare system for the first time, who were mostly in their 20s and 30s were significantly more likely to display certain cardiovascular-disease risk factors if they had received a mental-health diagnosis such as depresión, anxiety disorder, or (PTSD) 24. The Commitee on Gulf War and Health has stated that many of the studies published so far were cross sectional and couldn´t fully assess symptom duration and chronicity, latency of onset, and prognosis. This was an important limitation because many of the long-term outcomes such as coronary heart disease and cancer have long latent periods of decades.46,55. No studies have been made so far regarding the actual and future risk of cardiovascular health of Argentine and British war veterans who took part in the 1982 conflict. We could very well quote Patrick and Heaf in as far as there is is ¨a paucity of research on war victims¨ 81. CHD is a disease that affects the heart muscle and the blood vessels.The most serious danger of CHD is a heart attack, which occurs when the supply of blood to the heart is greatly reduced or stopped due to a blockage in a coronary artery. 97 .By the time Argentine war veterans have 66 years old it is expected that 7 of every ten deaths will be due to non transmitable diseases; among them coronary heart disease (CHD) will be the main cause and stroke the fourth 41. CHF is a disorder where the heart loses its ability to pump blood efficiently,leading to problems like fatigue and shortness of breath. CHF is not a single disease but the end stage of many different forms of heart disease. The most common of these is CHD. Body mass index (BMI) is a simple index of weight-for-height that is commonly used in classifying overweight and obesity in adult populations and individuals. It is defined as the weight in kilograms divided by the square of the height in meters (kg/m2). The World Health Organization (WHO) defines "overweight" as a BMI equal to or more than 25, and "obesity" as a BMI equal to or more than 30. These cut-off points provide a benchmark for individual assessment, but there is evidence that risk of chronic disease in populations increases progressively from a BMI of 21. According to the CARMELA study among inhabitants of Buenos Aires obesity in men was 23.1%, in women 16-8%, diabetes 7.9 % and metabolic syndrome 21.7%. 87. About 46% of men in England and 32% of women are overweight (a body mass index of 25-30 kg/m2), and an additional 17% of men and 21% of women are obese (a BMI of more than 30 kg/m2 ). Overweight and obesity increase with age. About 28% of men and 27% of women aged 16-24 are overweight or obese but 76% of men and 68% of women aged 55-64 are overweight or obese. The percentage of adults who are obese has roughly doubled since the mid-1980's. Obesity is more common in adults employed in manual occupations, particularly in women. A quarter of women working in unskilled manual occupations have a BMI of more than 30 kg/m2 compared to one in seven of those employed in a professional role. Both men and women working in unskilled manual occupations are over four times as likely as those in professional employment to be classified as morbidly obese.103 .Several Studies have evaluated BMI as a risk factor for left ventricular remodelling and overt heart failure. On average, UK salt intakes are approximately 10.1g per day in men and 7.7g per day in women but range from 4 to 18 g per day in men and 3 to 14g per day in women.Sodium naturally present in food accounts for about 15%, and salt added to food during manufacture or processing accounts for the difference i.e. 60 to 70% of total sodium intake.19 The US sodium RDA of less than 2,400 mg is higher than the UK Recommended Nutritional Intake (RNI) whose upper limit for sodium is 1,600 mg. Drinking too much alcohol can raise blood pressure, cause heart failure and lead to stroke. It can contribute to high triglycerides, cancer and other diseases and produce irregular heartbeats.The risk of heart disease in people who drink moderate amounts of alcohol is lower than in nondrinkers. One drink is defined as 4 fl oz of wine or 12 fl oz of beer.1. Even low estimates of 5% or 7% of hypertension attributable to alcohol imply that there are more patients with hypertension caused by alcohol than by conventional causes of remediable secondary high blood pressure. 57. Researchers found that 45 percent of the people who began drinking before the age of 14 developed later alcohol dependence, compared with only 10 percent of those who waited until they were 21 or older to start drinking. 45 . In England in 2005, 73 per cent of men and 58 per cent of women reported drinking an alcoholic drink on at least one day. Thirteen per cent of men and 8 per cent of women reported drinking on every day in the previous week.Younger people were more likely to drink heavily, with 42 per cent of men and 36 per cent of women aged 16-24 drinking above the daily recommendations, compared to 16 per cent of men and 4 per cent of women aged 65 and over. Among men, 24 per cent reported drinking on average more than 21units in a week. For women, 13 per cent reported drinking more than 14 units in an average day.75. In Great Britain in 2007/8 the litres of pure alcohol per adult were Beer:4.49 ,Wine:3.80 ,Spirits:2.40, Cider:0.84, Total alcohol:11.53 . 43,625 people die from a hypertension-attributable myocardial infarctation (MI)or stroke in England each year. Hypertension also causes heart failure, peripheral artery disease and is implicated in dementia. In the UK, the prevalence of cardiovascular disease, diabetes and hypertension is higher among Asian patients compared to the general population. Similarly, hypertension is very common among Afro-Caribbeans (The largest proportion of the African-Caribbean population in the UK are of Jamaican origin); afecting half of those aged 40 years and over.As a result of these factors these ethnic groups are at high risk of stroke and renal failure.Therefore aggressive therapy is warranted to reduce blood pressure to recognised targets.In England only around 20% of hypertensive men and 30% of hypertensivewomen receive treatment for their condition. This means that a staggering two-thirds with the condition remain hypertensive. An estimated 22,601 first MIs and at least 78,000 strokes could be prevented by reducing blood pressure to optimal levels. In Argentina the adjusted rate of prevalence for diabetes is 7,6% 25,60. New figures by the Yorkshire and Humber Public Health Observatory reveal that more than one in ten (11.6 per cent) deaths among 20 to 79-year-olds in England can be attributed to diabetes. If current trends continue, one in eight (12.2 per cent) deaths among 20 to 79-year-olds will be attributable to the condition by 2010. This work is based on data that shows adults under 80 with diabetes are around twice as likely to die as those without the condition and women with diabetes have a greater increased risk of death compared to their male counterparts. (Medical News Today-http://www.medicalnewstoday.com/articles/117896.php). In UK cholesterol is the single greatest risk factor for CHD. Statistics show that raised blood cholesterol is a factor in nearly half of all CHD cases (47%). Raised cholesterol is also a major risk factor in the 110,000 strokes suffered every year in the UK. Studies have shown that a 10% reduction in cholesterol (achievable by changes in diet and lifestyle) in a 40-year-old male would lead to a 54% reduction in CHD. Chagas disease affects 16–18 million people as of 2008, with some 100 million (25% of the Latin American population) at risk of acquiring the disease, killing around 20,000 people annually. The disease is present in 18 countries on the American continent, ranging from the southern United States to southern Argentina. Chagas´disease is transmitted by the reduviid bug (from the Reduviidae family and the Triatominae subfamily), also known as the vinchuca. 2,4,47,95 .The insect lives in crevices and gaps in poor rural housing such as thatch, mud or adobe huts in 18 Latin American countries.In Argentina the vinchucas are found throughout the country, but are especially prevalent in northern, western and central provinces where the climate is warm or temperate but dry. The infected reduviid bug transmits a protozooan parasite named Trypanosoma cruzi through its faeces, which human victims unwittingly rub into the bite wound left by the bug, or into their eyes, mouth or nose.The parasites thus enter the victim´s bloodstream and gradually invade most organs of the body, often causing severe damage to the heart, digestive tract or nervous system. There are 2 million people (5% of the population) infected with Chagas in Argentina The northen province of Chaco (927 war veterans with 677 wives and 2,454 sons/daughters) concentrates 15 per cent of all the cases. For every case notified there are 20 cases undiagnosed 31. Seven percent of the 600,000 annual births in Argentina are to women with Chagas´ disease. An average of four percent of these women pass the disease on to their babies. In the province of Santiago del Estero (152 war veterans with 101 wives and 367 sons/daughters) 90 per cent of new cases are diagnosed in children less than 10 years old of which 30 per cent are less than as year old. The province of Santa Fé has 237 war veterans,199 wives and 539 sons/daughters. In the Gato Colorado village (pop 1,500), 420 km from Rafaela (province of Santa Fe) more than 35 per cent of its population are infected with Chagas 50. Among persons in the high-risk category the 10 year mortality was 84 percent. The two only existing drugs benznidazol and nifurtimox are very effective in newborn and breastfeeding children but only 60 to 70 per cent of adolescents and adults are succesfully treated.42 The older the patients are the greater the likelihood they will experience side effects from the drugs 21. In 2007, WHO established The Global Network for Chagas Disease Elimination to raise global awareness of the disease 20. On July 9, 2009 Doctors Without Borders launched a campagin to raise awareness of this parasitic disease. Homocysteine is an amino acid in the blood. 107 Epidemiological studies have shown that too much homocysteine in the blood (plasma) is related to a higher risk of coronary heart disease, stroke and peripheral vascular disease.Other evidence suggests that homocysteine may have an effect on atherosclerosis by damaging the inner lining of arteries and promoting blood clots. However, a direct causal link hasn’t been established.Plasma homocysteine levels are strongly influenced by diet, as well as by genetic factors. The dietary components with the greatest effects are folic acid and vitamins B6 and B12. Folic acid and other B vitamins help break down homocysteine in the body. Several studies have found that higher blood levels of B vitamins are related, at least partly, to lower concentrations of homocysteine. Other recent evidence shows that low blood levels of folic acid are linked with a higher risk of fatal coronary heart disease and stroke. Several clinical trials are under way to test whether lowering homocysteine will reduce CHD risk. Recent data show that the institution of folate fortification of foods has reduced the average level of homocysteine in the U.S. population. Today, both urban and rural smog pollution results from the build up of secondary photochemical pollutants such as ozone. Whilst industrial nitrogen oxides emissions have fallen in the last 15 years, emissions from road transport have grown significantly, because of the increase in the number of cars, although in the last few years the introduction of clean fuel technology has helped to reduce emissions. Similarly, emissions of particulates, carbon monoxide and volatile organic compounds (VOCs) from road transport have increased, although as for nitrogen oxides, these emissions are now starting to fall. Estimated prevalence of OSA among patients 30-70 years old is 4% for men and 2% for women (Instituto de Efectividad Clínica y Sanitaria-www.iecs.or.ar) Regardless of their own CAD status, people with OSA are more likely than those without OSA to have a family history of premature CAD mortality. (Apoor S.Gami et al- Familial Premature Coronary Artery Disease Mortality and Obstructive Sleep Apnea- CHEST, January 2007 vol. 131 no. 1, 118-121 ). Even alter controlling for personal income, education, and occupation, living in a disadvantaged neighbourhood is associated with an increase incidence of coronary heart disease. 34 . In Buenos Aires, Villa Soldati and Villa Lugano are the neigbourhoods where more robberies with violent assaults are observed 67,69. In 1997, the neighbourhoods of Ciudadela, Villa Ballester, San Martín, Caseros, Morón y Quilmes were considered no man´s land. In 2004 many offenses were observed as well in Belgrano, the microcenter, Balvanera, Barrio Norte and Bajo Flores (La Nación, June 6,2004). Poverty and unemployment are rampant in Villa 21-24 in Barracas (Critica 22, October, 2009). Vehicles were mostly stolen in Ramón Falcon, Yerbal and Moldes street (CABA) –February, 2009). Depression is commonly present in patients with coronary heart disease (CHD) and is independently associated with increased cardiovascular morbidity and mortality.65. Depression, anxiety, and hostility have each been demonstrated to be associated with the risk of coronary heart disease and of adverse outcomes after acute coronary events. 108. Several hypotheses have been proposed to explain such associations. O´Malley et al in a prospective study of 630 consecutive consenting, active-duty US Army personnel 39 to 45 years of age without known coronary artery disease found that depression, anxiety, hostility, and stress were not related to coronary-artery calcification and that somatization was associated with the absence of calcification. (O´Malley, P. et al-The New England Journal of Medicine 2000;343 : 1298-304). In some studies, nearly half of the veterans who had PTSD were also depressed. Physical exertion, burst of anger and sexual activity have been proven to have triggering potential. Other possible triggers include external and environmental events such as earthquakes, war threat and climatic factors. 109 .The Fédération Internationale de Football Association (FIFA) World Cup,held in Germany from June 8 to July 9,2006 provided an opportunity to examine the relation between emocional stress and the incidente of cardiovascular events.Viewing a stressful soccer more than doubles the risk o fan acute cardiovascular event. 110. Soccer is most popular in Argentina and UK. Myocardial infarction and sudden cardiac death demonstrate a marked circadian variation with an increased risk during the morning after awakening and arising. Trigger factors occur relatively frequently and may play a causative role in up to 20% of cases of acute coronary syndromes. Differences in rates of premature health illness, and disability are closely tied to economic status. Class is dificcult to define.There are many ways of measuring it, the most widely accepted being in terms of income, wealth,education, and employment. Unhealthy behavior and lifestyles alone do not explain the poor health of those in lower classes. Even when behavior is held as constant as possible, people of lower socioeconomic status are more likely to die prematurely than are people of higher socioeconomic status. Some authors pinpoint income as the single most powerful predictor of mortality 62 and some analysts suggest that employment is the key socioeconomic determinant of health.13 Policies regarding education, taxes, recreation, transportation, and housing cannpt be divorced from their effects on health. Medical care has been estimated to account for only about 10 to 15 percent of the nation´s premature deaths.70 Thus, ensuring adquate medical care for all will have only a limited effect on the nation´s health. National averages show that poverty in Argentina has been declining since 2003, when a record 54 percent of the country's 37 million people were below the poverty line after the economic and political collapse of late 2001. Statistics for late 2006 from the National Institute of Statistics and Censuses (INDEC) showed that 26.9 percent of the Argentine population was living in poverty. But in Corrientes, that figure was 46 percent. Indigence (extreme poverty) was 8.7 percent nationally, but 18.1 percent in Corrientes. Children under 14, who are more numerous in low-income families, suffer from more and deeper poverty at all levels. In the country as a whole, 40.5 percent of children are poor. In the northeastern provinces, the proportion is 60 percent, and in Corrientes childhood poverty reaches 63.4 percent. INDEC uses two parametres to measure poverty. It defines as "indigent" people who cannot afford a basic basket of food representing their minimum "energy and protein needs." The "poor" are those who cannot afford the "complete basket" which in addition to the basic food basket contains goods and services such as clothing, transport, education and healthcare. According to INDEC's calculations, the basic food basket costs around 40 dollars a month per person in the northeastern region, while the complete basket is worth just over 85 dollars a month. The provision of information and advice relating to cardiac rehabilitation must be better tailored to the context of the specific needs, beliefs, and circumstances of patients with CHD, regardless of their ethnicity.7,33 . Potentially reversible factors that can be modified: overweight, diabetes, smoking, high blood pressure, inactivity, increased levels of LDL-cholesterol, high triglycerides, low HDL-cholesterol, large waist circumference (being ¨apple shaped ¨). In Argentina coronary surgery with extracorporeal pump costs an average of $10.750 (Argentine pesos) (Rubio,Miguel,Insúa, Jorge T.Rev. Argent. Cardiol. v.74 n.4 Buenos Aires, jul./ago. 2006). The cost of caring for a survivor of CHD event is high these patients need a high level of post-event care, and beds in the intensive care and cardiac care units are generally considedred to be the most expensive in a hospital. Furthermore, there are the indirect costs associated with premature mortality and morbidity lost productivity, increased state dependence and cost of informal care. CVD costs the UK economy £29 billion a year in healthcare expenditure and lost productivity. .(UK DH Department of Health). Austin,Annie-Being grumpy can hurt your heart-Negativity linked to heart disease-Suite 101-The genuine article library. Badaliants IE.- Clinical therapeutic aspects of the origin and the course of atherosclerosis in the veterans of the Great Patriotic War-Adv Gerontol. 2008;21(4):633-9. Bär, Nora-Prevención cardíaca cuanto antes mejor-La Nación-11 de agosto 2009. Blane D. Social determinants of health -socioeconomic status,social class, and ethnicity. Am J Public Health 1995;85:903-905. Cohen BE, Marmar C, Ren L, et al. -Association of cardiovascular risk factors with mental health diagnoses in Iraq and Afghanistan war veterans using VA health care. JAMA 2009 Aug 5; 302(5):489-92. Christakis,Nicholas and Allison,Paul-Mortality after the hospitalization of a spouse-The New England Journal of Medicine-2006;354:719-30. Czubaj , Fabiola-El colesterol causa el 60% de las enfermedades cardiovasculares-La Nación ,29 de septiembre 2009. Fahrer, Rodolfo-10º Congreso Internacional de Psiquiatría – 21 al 24 de Octubre de 2003, Buenos Aires, Argentina. Escobar,Edgardo-Prevención de Enfermedades Cardiovasculares en Latinoamérica- Universidad de Chile,Santiago, Chile. Fairlamb,AH-Future prospects for the chemotherapy of Chagas' disease. Medicina (B Aires). 1999;59 Suppl 2:179-87. Ferrante D, Virgolini M. Encuesta Nacional de Factores de Riesgo 2005: Resultados principales. Prevalencia de factores de riesgo de enfermedades cardiovasculares en la Argentina. Rev Argent Cardiol 2007;75:20-9. Grant, B.F.; and Dawson, D.A. Age at onset of alcohol use and its association with DSM–IV alcohol abuse and dependence: Results from the National Longitudinal Alcohol Epidemiologic Survey. Journal of Substance Abuse 9:103–110, 1997. PMID: 9854701. Ikin JF, Sim MR, McKenzie DP, Horsley KW, Wilson EJ, Harrex WK, Moore MR, Jelfs PL, Henderson S - Life satisfaction and quality in Korean War veterans five decades after the war. [Journal Article, Research Support, Non-U.S. Gov't] J Epidemiol Community Health 2009 May; 63(5):359-65. Isaacs,Stephen L. and Schroeder,Steven-Class-The ignored determinant of the Nation´s health-The New England Journal of Medicine-351;11, September 9,2004. Jendrièko T, Vidoviæ A, Grubišiæ-Iliæ M, Romiæ Z, Kovaèiæ Z, Kozariæ-Kovaèiæ D - Homocysteine and serum lipids concentration in male war veterans with posttraumatic stress disorder.-Prog Neuropsychopharmacol Biol Psychiatry 2008 Nov 14. Kang HK, Li B, Mahan CM, Eisen SA, Engel CC - Health of US Veterans of 1991 Gulf War: A Follow-Up Survey in 10 Years. J Occup Environ Med 2009 Mar 24. Klatsky AL. Alcohol and hypertension. In: Oparil S, Weber M, eds. Hypertension. Philadelphia, PA: WB Saunders Co; 2000: 211–220. Lantz PM, House J, Lepkowski JM, Williams DR, Mero RP, Chen J.Socioeconomic factors, health behaviors, and mortality: results from anationally representative prospective study of US adults. JAMA1998;279:1703-1708. Lawson,Kenny D ,Fenwick, Elisabeth AL,, Pell, Alastair CH , Pell, Hill- Comparison of mass and targeted screening strategies for cardiovascular risk: Simulation of the effectiveness, cost-effectiveness and coverage from a cross-sectional survey of 3,921 people.- Heart. Published Online First: 7 September 2009. Lichtman,Judith H. et al.-Depression and coronary heart disease- Circulation. 2008;118:1768-1775. Lopez-Quintero C, Berry EM, Neumark Y.- Limited English proficiency is a barrier to receipt of advice about physical activity and diet among Hispanics with chronic diseases in the United States.- J Am Diet Assoc. 2009 Oct;109(10):1769-74. McGinnis JM, Williams-Russo P, Knickman JR. The case for more active policy attention to health promotion. Health Aff (Millwood) 2002;21:78-93. Marsh AR-A short but distant war - the Falklands campaign. J R Soc Med 1983 Nov; 76(11):972-82. Martínez, Carlos A. - Kriskovich Jure, Jorge O. - Herdt, Alejandra E. Lopez Campanher, Adolfo G. - Ibarra, Rosa A. - De Bonis, Griselda R. - Correa, Liliana M.-Cátedra de Semiotecnia y Fisiopatología - Facultad de Medicina - UNNE.- Universidad Nacional del Noreste-Comunicaciones Científicas y Tecnológicas 2000. Orner RJ, Lynch T, Seed P-Long-term traumatic stress reactions in British Falklands War veterans. -Br J Clin Psychol 1993 Nov.:457-9. Price HH -Rate of British psychiatric combat casualties compared to recent American wars-J R Army Med Corps 2007.:58-61; discussion 62. Rassi, Anis Jr et al-Development and Validation of a Risk Score for Predicting Death in Chagas' Heart Disease-The New England Journal of Medicine-Volume 355:799-808, August 24,2006-Number 8. Ríos,Sebastián-La atención de un infarto suele demorar más de 5 horas-La Nación-1º de octubre de 2009. Schargrodsky H, Hernández-Hernández R, Champagne BM, Silva H, Vinueza R, Silva Ayçaguer LC, et al; CARMELA Study Investigators. CARMELA: assessment of cardiovascular risk in seven Latin American cities. Am J Med 2008;121:58-65. Tartaglione J, Grazioli GC, Sarmiento M, Goldstraj LM. Eventos cardiovasculares en una población cerrada. Seguimiento a 10 años. Rev Argent Cardiol 2008;76:347-51.